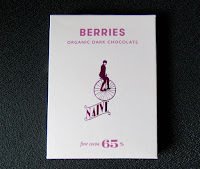 Today's Berries Organic Dark Chocolate bar was made by the award-winning bean-to-bar company, Chocolate Naive fromVilnius, Lithuania. Today's smooth dark chocolate bar had a subtle dark, slightly smoky/earthy cocoa + very light berry balsamic aroma. 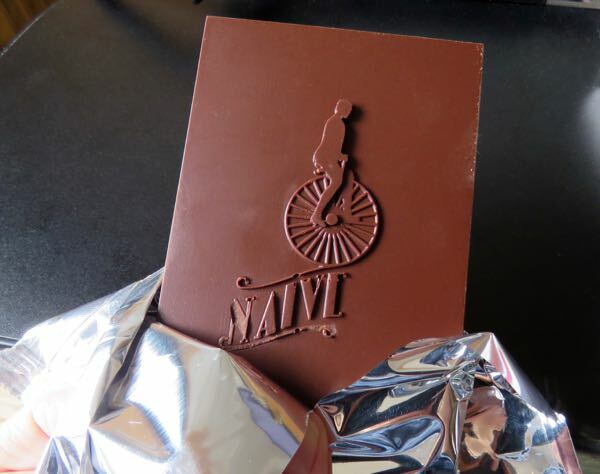 The bar was created using organic fine cocoa 65% (direct trade) with a hint of creamy cocoa butter. Embedded in the chocolate was very smooth, slightly muted, authentic berry flavor—from freeze-dried strawberries, blueberries and black currants. Perfect blend for me. It wasn't too sweet, (not too berry or sugar forward), and had a nutty umami and black currant finish. 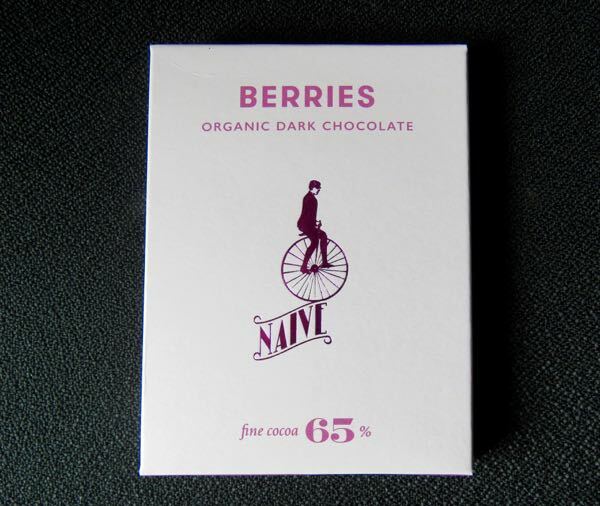 *Speaking of berries and unique flavors, Chocolate Naive also produces a Dark Chocolate with Incan Berries bar. (Incan berries are a South American fruit also known as Peruvian groundcherries, Cape gooseberries, and Physalis).